After a couple of years of relentless service, my trusty iRobot Roomba has stopped spinning his brushes. It roams the room, spins the side brush, but the bottom, counter-rotating brushes don't work anymore. With a little searching in various forums, it seems that dust may pile up into the electric motor until a complete freeze. I opened the underbelly by turning 5 screws. Using an air compressor, I've sprayed lots of air on all the moving parts, removing an impressive amount of dust. 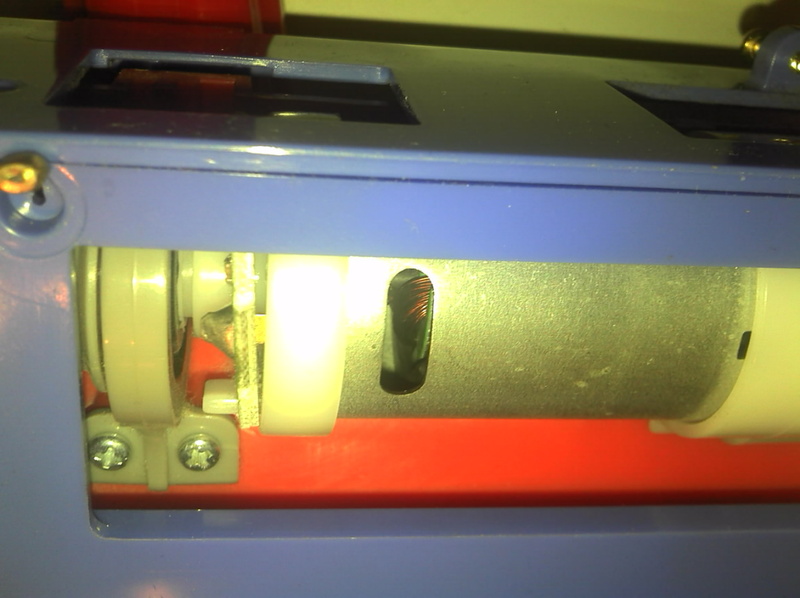 The main brushes motor is located under the red box. 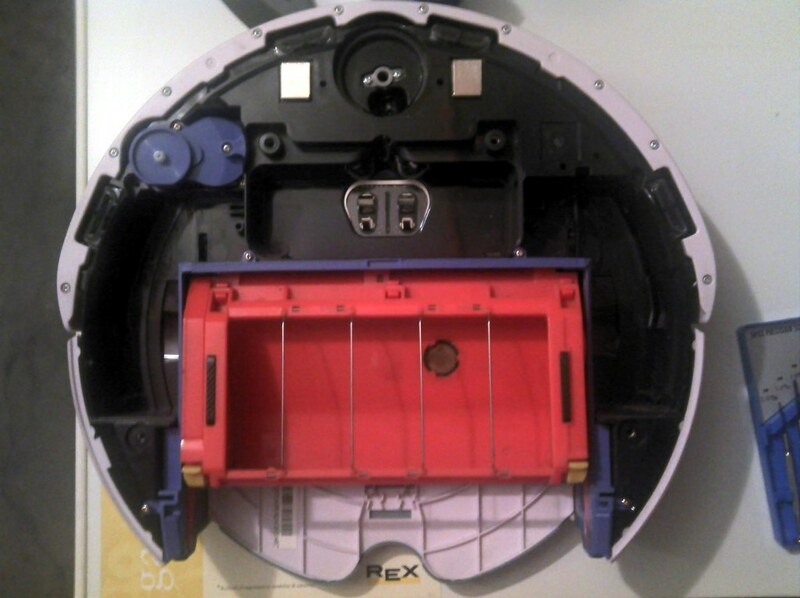 You can see a hole that peeks inside the motor where you can see the copper windings: lots of compressed air in and lots of dust out! I've reassembled all the components and voilà: Roomba is back in action. You...I like you. 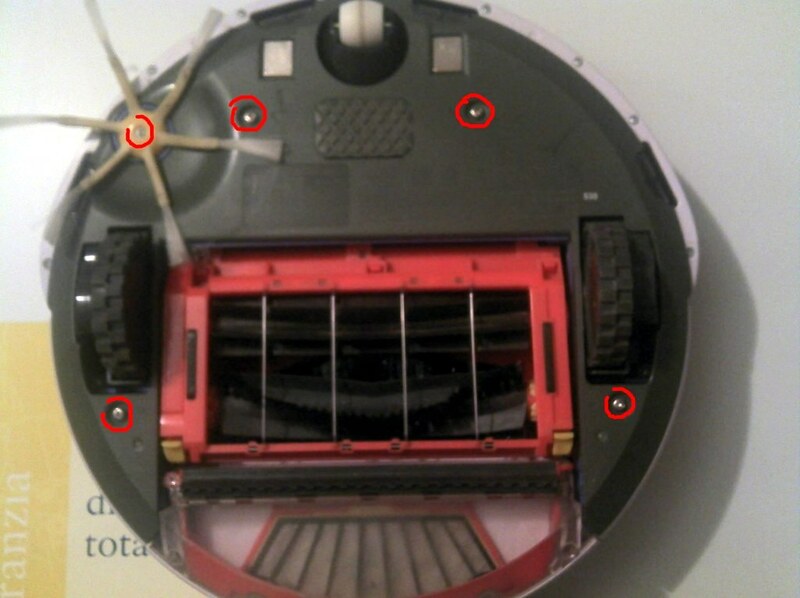 This is exactly what's wrong with my Roomba and exactly what I was looking for.